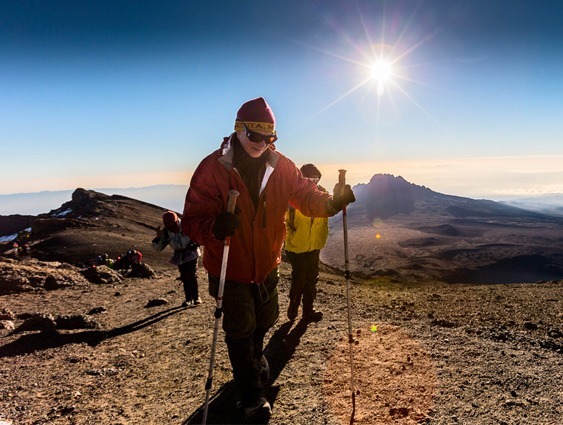 Climbing to reach the top of a mount Kilimanjaro can be a rewarding experience. Along with the thrills of climbing itself, mountain summits often offer sweeping views and uniquely solitary environments. However, it’s important to understand the health and physical challenges you may face when seeking adventure at high altitudes. Learn about some of the risks of mountain climbing and steps you can take to stay safe. It’s essential to wear proper gear for hiking and mountain climbing. Wear clothing that allows you to move and maneuver comfortably. Choose well-fitting shoes that provide ankle support, stability, and grip. If you’re hiking on rocky trails, use one or two walking poles to help maintain your balance while navigating uneven terrain. A pole will also take some of the physical impact off your knees, hips, ankles, and lower back. It’s a good idea to carry gear for all types of weather. The air is thinner at high altitudes. This can lead to extreme and rapid changes in temperatures. Pack layers of clothing that you can add or remove as needed. Don’t forget rain- and windproof outerwear made of lightweight material. You should also bring something to keep the sun out of your eyes, such as a brimmed hat and sunglasses. Also, don’t forget the sunscreen. The sun’s rays tend to be more intense at higher altitudes, especially if reflecting off of snow. Insect repellant is important during warmer months, while light-colored clothing can be cooler and less attractive to pests. When you’re high up in the mountains, you may be far from civilization and access to sustenance. Remember to carry food and water for your trip. Staying hydrated can be challenging because you perspire more at higher altitudes. Carry all of your extra gear and food in a backpack with at least two straps. Make sure your backpack fits snugly and has padded straps and a waist belt. Besides the hardship of hiking up a mountain, the high altitude itself can cause serious health concerns. Always take AMS seriously because it may put you at risk for HAPE or HACE. These are very serious life-threatening conditions. HAPE happens when excess fluid collects in your lungs. It can cause shortness of breath, difficulty breathing, and coughing up frothy or bloody sputum. HACE happens when fluid collects in your brain. Along with severe headache and vomiting, it can also cause confusion, uncharacteristic behavior, drowsiness, difficulty walking, and loss of consciousness. Most altitude-related illnesses are caused by lack of oxygen. High altitudes have a lower concentration of oxygen in the air. 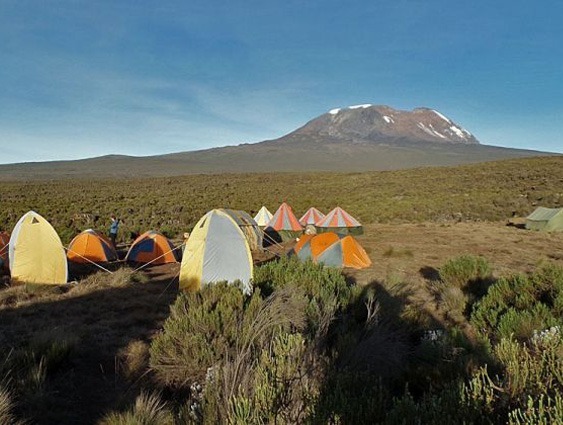 You may be able to avoid altitude sickness by proper acclimatization. It’s important to take your time to travel to high altitudes. Rather than driving or flying to a high-altitude starting point, try to start low and gradually move your way up. Once you reach an altitude of 8,000 feet, many experts advise not climbing more than 1,000 feet per day. Your overall health may limit how high you can safely climb. See your doctor if you’ve had a recent heart attack, stroke, blood clot, or severe asthma attack prior to planning any mountain trekking. It’s also important to stay hydrated, avoid drinking alcohol, stay warm, not smoke, and eat regularly. Some climbers and trek leaders also carry an oxygen supply when traveling to extremely high altitudes. The drug acetazolamide (Diamox Sequels) can help prevent altitude-related illnesses. Acetazolamide works by helping your kidneys get rid of bicarbonate, which stimulates your breathing. This helps you take in more oxygen. It also mimics the physiological changes associated with acclimatization. Side effects can be mild numbness and tingling and changes in taste. The corticosteroid dexamethasone (Decadron) may be used in those who don’t tolerate acetazolamide. Sleeping at high altitudes can be difficult. Low oxygen intake during the night can interrupt your sleep or leave you feeling tired in the morning. Acetazolamide can help you breathe better throughout the night. “Climb high, sleep low” is something many climbers swear by. You climb during the day but go down to the lowest altitude possible that’s compatible with your trip to sleep at night. If you have iron deficiency anemia, you may want to consider taking an iron supplement before and during travel to high altitudes. Oxygen is transported throughout your body in red blood cells. If you have anemia, you have fewer red blood cells to carry oxygen. Iron supplements appear to be most effective at boosting low iron stores during trips at higher altitudes that last two to four weeks or more. If you or a climbing partner has any symptoms of altitude-related illness, descend immediately. Try to descend by 3,000 feet or more. If descent isn’t immediately possible, take temporary measures to manage the illness. For example, the person should be placed in a pressurized (Gamow) bag, given oxygen, or given drugs such as dexamethasone. With proper preparation and careful attention to safety, high-altitude hiking and mountain travel can be a fun, challenging, and truly inspiring experience. Always pack appropriate gear. Take time to acclimatize yourself to higher altitudes. And ask your doctor about the potential benefits of taking acetazolamide and iron supplements.